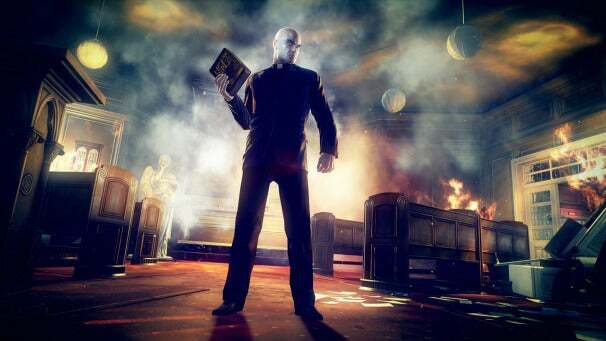 Hitman: Absolution has come a long way since its debut at E3 last year. Square Enix and developer IO Interactive have focused on building an interactive world filled with choice. As Agent 47, players will have the ability to perform missions any way they like. The game features interactive crowds that Agent 47 can use to hide in during and after taking out a target. Roberto Marchesi, art director for Hitman: Absolution, talks about the inspiration behind one of the most-anticipated games of this year in this exclusive interview. Game On: What was your inspiration in bringing this game world to life? Roberto Marchesi: What we wanted was to have a hyper-realistic feel to the game. How we tried to achieve that is to have a diverse density in the pixels on the screen. Contrast is a major factor in how we build a level. It’s a question of how you can mix the textures and lighting, and also what story the objects on the level are telling the player when he’s looking at them; just simply having a stroll on the level. Graphically, we really wanted to have a world that told a story by itself. They wanted to achieve that by pushing the limits on what stories that the characters can tell with just their looks, the clothes they have on, the banter they say, and putting them inside a super-detailed world that has a unique feel to it. The tools that we’re using to create this extremely living world feels real to the player. What role has your new game engine technology played in allowing you to bring that to life? The role that the Glacier 2 engine has played for Hitman: Absolution in bringing the artistic visions to life has been major, because we needed a new engine. After Hitman: Blood Money, we simply realized that we needed something more powerful to bring the vision we had for Hitman: Absolution to the world; Glacier 2 allows us to do that. It doesn’t help only the graphic artists, but also the level designers who have a much more advanced AI at their disposal, and the sound people that have access to a much more broad system to control the sounds and music inside the game. All those things come together in the new Glacier engine. How open are the abilities for the player to do things the way he wants to do when it comes to missions in this game? The game is very open. That is one of the central themes of the series, and we really didn’t want to take any of that away with this new game. We actually wanted to expand on it. So during the new E3 demo, 47 starts the level by walking around, simply taking a stroll through Chinatown. He’s just surveying the area and seeing what possible accidents can happen lying around and what the environment can give him access to, like a hole in the ground or a big crate hanging from a wall. All those things are possible accidents waiting to happen. You can also simply go guns blazing, maybe infiltrate a high vantage point, or take use of a high-power sniper rifle and just take out your target among the crowd. How large can you make the crowds in this game for 47 to interact with? The new E3 demo one of our smaller crowds, which has 500 NPCs on screen. We can push it higher than that. There are some levels in the future that will have a considerable more amount of characters on the screen. We treat each NPC with respect. We want them to feel like a real person as much as the normal NPCs in the level are. They have their own reactions, and the AI is quite capable of interpreting what you are doing on the level, even though it’s just a crowd AI. Also, the number of variations and nooks in them have increased from the previous iterations of the game, and we couldn’t do that with the old engine. What role do these crowds play with the ability for players to actually engage in a mission in different ways? The crowds are an asset to 47. He can use them to hide among them. When you go into Instinct mode, you can see that the nearest members of the crowd have a blue sheen to them. This is to tell the player that they are actually helping him disguise himself from the possible guards or patrols that are looking for him. It also allows you to get closer to your target, and then maybe once the alerts have been sounded, you can actually lose yourself among them, again, without the guards being able to track you down. You’re also introducing a new character at E3 called Birdy. What’s his story? We’re showing an early level at E3 where 47 has to take on this hit for Birdy, and it’s on the self-proclaimed King of Chinatown. Birdy hasn’t made any appearance before, but he is quite central to the storyline in Absolution. 47 now is on the run from the ICA. After killing Diana, he is also looking for answers to why she had to be killed, and why Victoria, this girl that he saved, is important to the ICA. He gets in contact with Birdy. He’s a very seedy character and an Underworld informer. He can help 47, but this help has a price. That price is the taking out of the first real hit the player will meet when he starts Absolution, the King of Chinatown.